Pedi-STAT is a rapid reference for RNs, paramedics, physicians and other healthcare professionals caring for pediatric patients in the emergency or critical care environment. 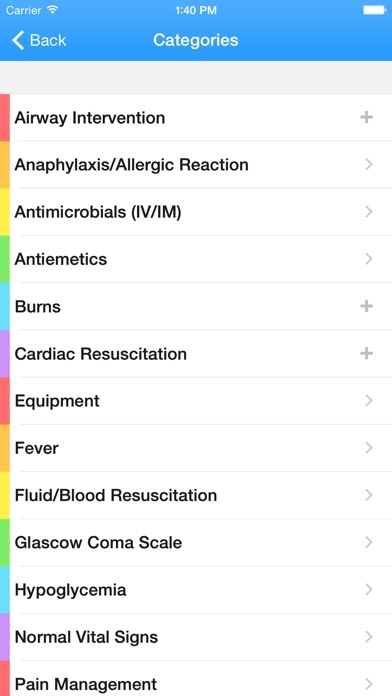 ************************************ Reviews ************************************ Among "The Best Drug Reference Apps for Emergency Physicians" - Emergency Physicians Monthly 5 STARS - "Simple interface provides rapid access to critical data needed when managing a critically ill pediatric patient" 5 Stars - "Very useful for treating kids in high pressure situations with precision." ***************************** Pedi-STAT features include: - Rapid results for airway interventions including endotracheal tube sizes, depth, intubation medication dosages, ventilator settings, and sedation - Cardiac resuscitation data including weight specific dosages for resuscitation medications, cardioversion, and defibrillation - Access to age and weight specific pediatric equipment including foley catheters, airway management, chest and NG tubes, peripheral and central line sizes, and more - Seizure medication dosages - Management of hypoglycemia including age specific dextrose concentrations - Reference of age specific normal vital signs - Procedural sedation dosages including single dose meds and infusions, as well as reversal agents - Calculated pain management medications - Medical management of allergic reactions and anaphylaxis Users can quickly access critical information accurately, without having to rely on memory or cumbersome textbooks. 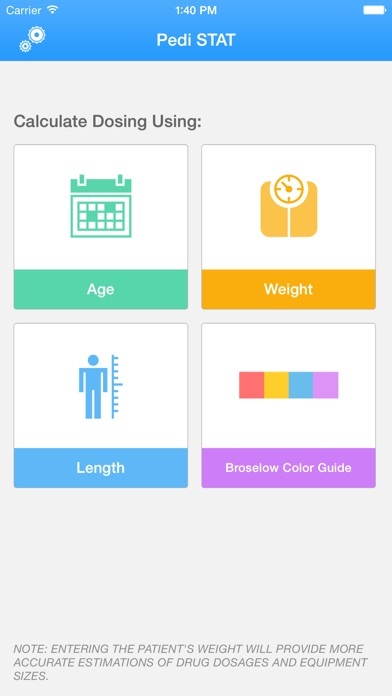 With just a few taps, users have access to all the necessary data to care for a pediatric patient in the emergent setting, including weight-based and age specific medication dosages and equipment sizes. Since many of the patients present with minimal known information, all the results can be calculated rapidly with only a known age, date-of-birth, weight, length, or height. Simply enter the known variable and the data is instantly calculated. 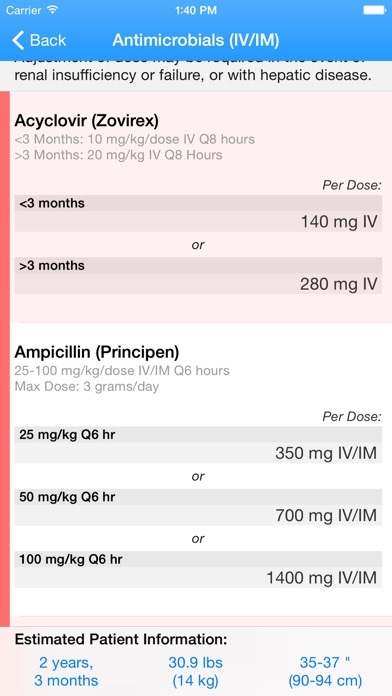 Developed by an Emergency Physician, this app minimizes the risk of medical errors allowing the provider to spend more time caring for the patient, and less time looking up and calculating doses. It is a critical companion for any physician, nurse, paramedic, or medical trainee involved in the care of critically ill pediatric patients. I’m an ER doc. This app is not useful. Each topic is too compartmentalized. Not simple to find things you need. The updated app again does not include weight based dose for reversal (glyco and neo) which seems like a large omission for the app. I am a pals instructor and I use this app often as a supplement to other information. For example, nothing on the broselow tape for Benadryl but we can find it on Pedi STAT. Easy to use! Students often download the app right class! Thankfully I’ve never had to actually use this app (so far) other than in scenarios but as a Paramedic I recommend anyone in emergency services have this on their phone. The information is displayed really well and is very easy to get to when time matters. 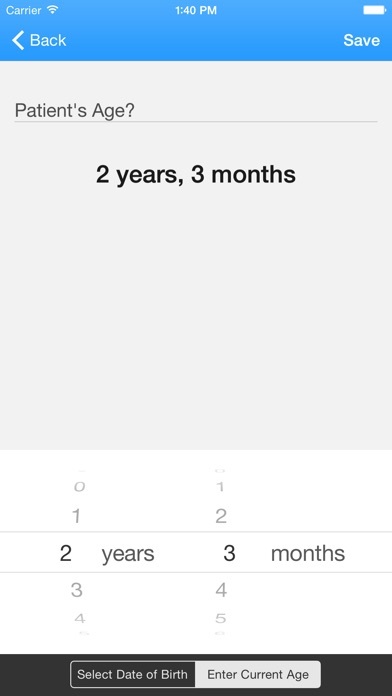 I’m a firefighter / Paramedic, I’ve been using this app for 4 years. I look up pedi doses enroute to calls so once arrive I know shocking Jules and cardiac drugs. Then by that time the broslow tape is out. Then use that. I use also for quick reference on vital signs. Highly recommended the app. Exceptional app, use it for every pediatric flight. However, besides the drug dosages in mg's listed, I wish this app listed the mL's and the standard dose concentrations for meds. It would just make that one step quicker for healthcare personnel to not have to calculate mg-ml in an emergency. Users should be aware that some of the dose recommendations for babies and young children are not accurate, and are potentially dangerous. We have contacted the developers who are working to fix this, but in the meantime be careful! As an ED RN I use this app frequently, not just for really sick kids, where it's a must have, but for simple things like regular VS for a 3 year old. No resource is perfect but this one is as close as I've found. As a paramedic, I primarily enjoy the vital signs. Though, counterintuitively, the 'vital signs' is alphabetically listed as 'normal viral signs'. It's useful otherwise. 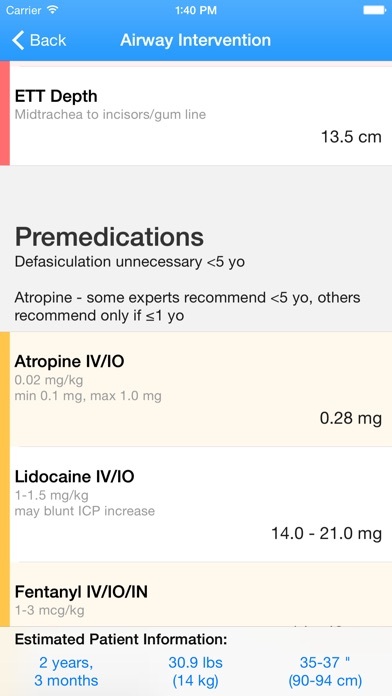 Great app, but it would be nice to have the dosages show max doses or go above 40kg! Someone should incorporate acls into this and it would be THE go to app.